Are you looking for a simple, long-lasting solution to your vacation troubles? If so, you have come to the right place. 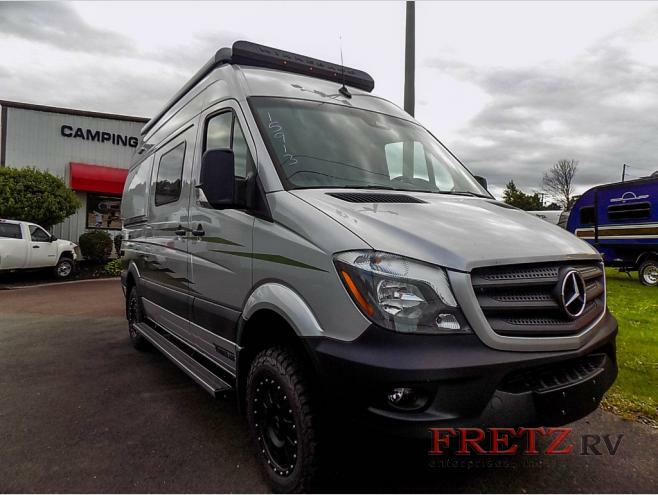 At Fretz RV, we proudly offer Winnebago class B motorhomes for sale at incredible prices. Today, we’re going to look at one of our favorite models, which earned RV Pro’s “Best of Show” title, in this Winnebago Revel class B diesel motorhome review. Invest in an RV that is built to last! When it comes to Winnebago products, you’re sure to find high-quality construction and top-tier amenities. Winnebago has been producing motorhomes since 1966 and is continuing to grow throughout the decades. This brand strives to offer an incredible selection of products by committing to extensive research and testing designed to produce quality RVs. In addition to their quality construction, these RVs come with a 12-month/15,000 mile basic, limited warranty. 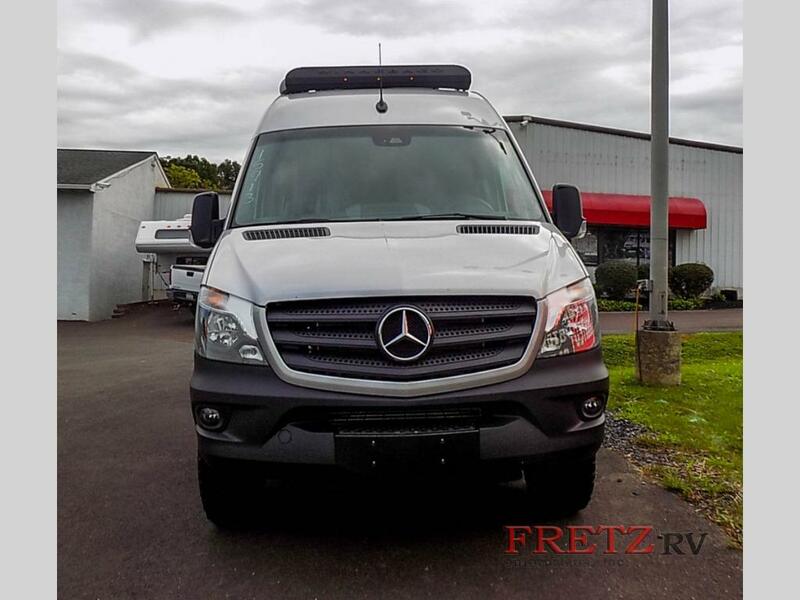 In the Winnebago Revel class B diesel motorhome that we are reviewing today, you will find a Mercedes-Benz Sprinter chassis, fully equipped with 4-wheel drive and ABS brakes. The 3.0 L6 Cylinder, 188 HP diesel engine has a 5-speed automatic tip shift transmission and 220 AMP alternator. You’ll also find 140 cubic foot garage space in the back of this camper van, effectively allowing you to haul your favorite toys and gear on your next trip! Quality construction inside and out! Step inside, and you’ll find enough sleeping space for three campers, a kitchen with one-burner cooktop, refrigerator, and wet bath that doubles as a storage closet for all your gear. This model comes equipped with a solar power system, functions as a toy hauler with the cargo space in the rear, and even features a power lift bed system for additional sleeping space. This Winnebago Revel is the most off-road capable motorhome you’re going to find. 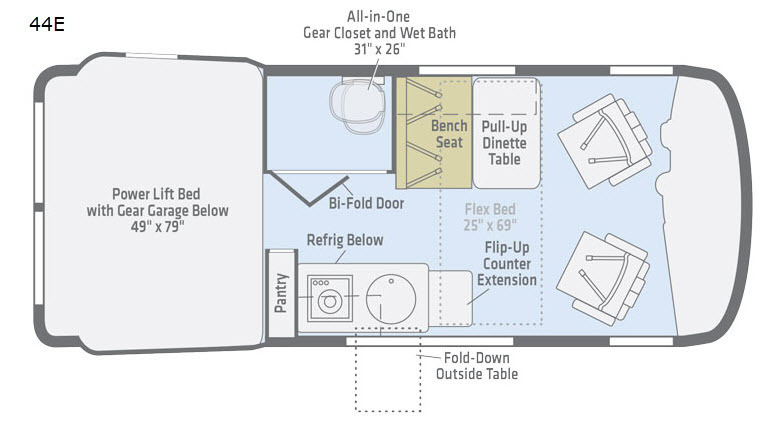 Example of the floorplan of the Winnebago Revel class B motorhome. If you are ready to hit the road or take your next adventure off-the-grid, then it’s time to invest in an RV that will last! Contact us today for more information.